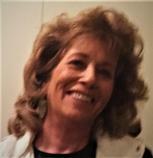 Betty Schroeder Andersen updated profile. View. Betty Schroeder Andersen has a birthday today. New comment added. Gale Epp has a birthday today. Betty Lindholm Streff has a birthday today. Gary Day added a photo to his profile gallery. New comment added. Gary Day changed his profile picture. New comment added. Gary Day changed his "Then" picture. New comment added. Gary Day changed his "Now" picture. New comment added. Susan Reiber Holt changed profile picture. Doug Nickel posted a message. Welcome aboard Mike good to hear from you. Nancy Rogers Williams has left an In Memory comment for Wray Cummings. Donald Wray Cummings died July 6 after a long struggle with cancer, throughout which he remained ever optimistic that he would triumph. Born March 28, 1951, in Scottsbluff to Don and Dorothy Cummings, he grew up in Kearney where he graduated from high school and later college. Wray moved to Lincoln where he married and gained his most treasured title of “Dad”. Preceded in death by his parents and brother Kim. Survived by son Christopher Cummings, daughter Katie (Josh) Kettel, and brother Jerry Cummings, all of Lincoln. His ashes will be interned at Lincoln Memorial Cemetery. Services pending at a later date. The family requests any memoriam sent to the Capital Humane Society.